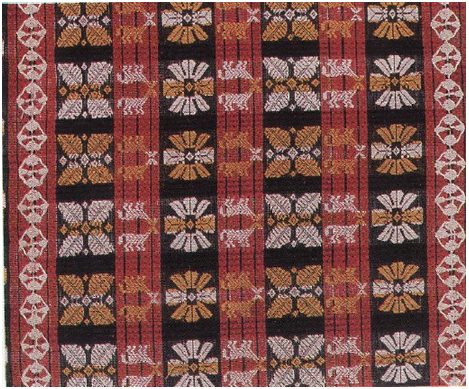 This blanket is woven in the pinilian style. Pinilian means “divided” or “separated” referring to the grid or checkerboard style of the design. Motifs of the pattern are horses, guava leaves and blossoms. This blanket is associated with the less wealthy class. The planar pattern has symmetry group pmm.